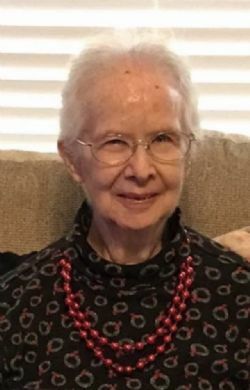 2/1/2019 from 6:00 P.M. - 8:00 P.M.
Esther Mae Hammack Gore, 86, of Celeste, passed away on January 29, 2019 at her residence. A funeral service is planned for Saturday, February 2, 2019 at the First Church of Royse City with Rev. Jason Hammack officiating. Burial will follow at McWright Cemetery. Visitation will be Friday, February 1, 2019 from 6:00 p.m. to 8:00 p.m. at Coker-Mathews Funeral Home. Esther was born October 20, 1932 in Blue Ridge, Texas to Johnnie and Rosie Bell Thompson Howard. She married J. W. “Peck” Hammack in 1947 and he preceded her in death in 1976. She later married Bobby Wayne Gore in 1987 and he has also preceded her in death. She retired from Haggar Slacks after 34 years where she was a receptionist. Esther is survived by her grandson, Christopher Hammack and wife, Michele; daughter-in-law, Renee Hammack; sisters-in-law, Naomi Finch, Barbara Farmer and husband, James; step-daughter, Diane Peters and husband, Tony; step-grandson, Josh Tabor; step-granddaughter, Dannlin Taylor and husband, Nick; 8 great-grandchildren; and numerous nieces and nephews including, niece, Linda Sue Ebel of Phoenix. Esther is preceded in death by her parents; both husbands; son, Bruce A. Hammack; brother, Oliver Howard; sister, Edith Waits and half brother, J. D. Howard.